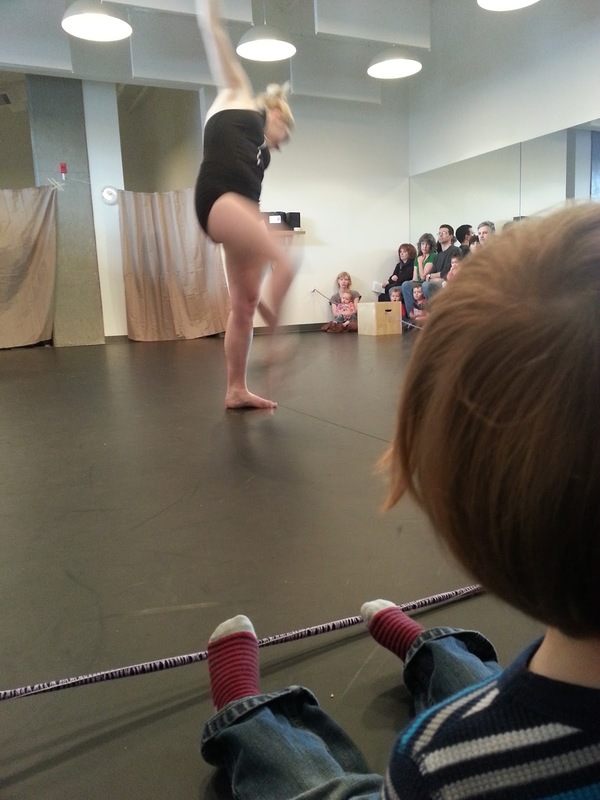 Sprout enraptured by the modern dance performance. A few weeks ago, I had the opportunity to go to a Culture Babes event. 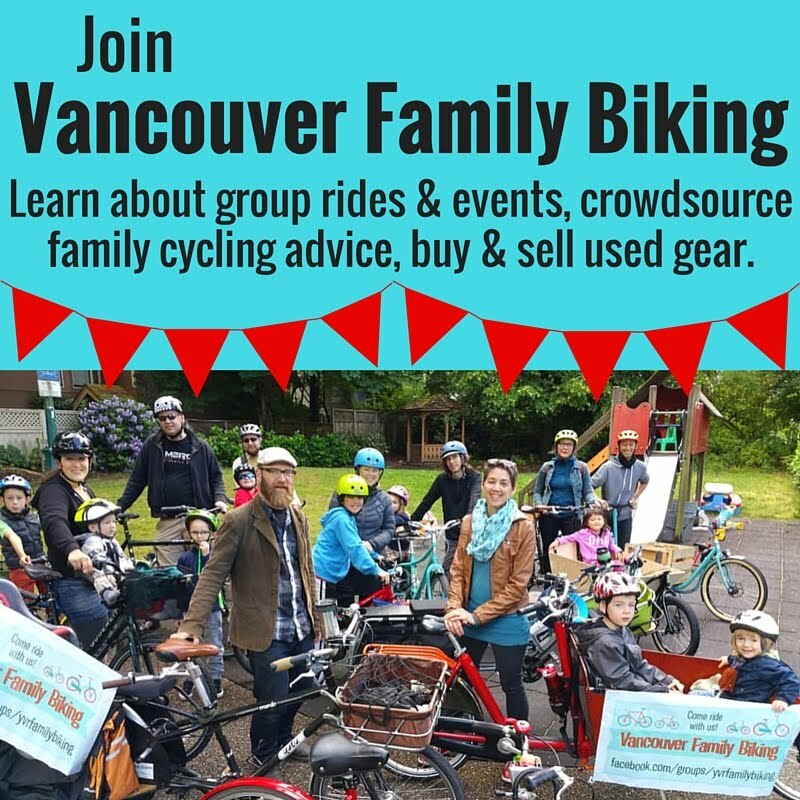 Established in 2011 by new mom Hilary Letwin, Culture Babes organizes monthly arts & culture outings for parents & their small children around the Vancouver area. Museum tours, gallery visits & dance performances are a few of things you might do if you went along on one of these meet-up style outings. They're often specially booked so that the group has the place to themselves, with no worries about getting dirty looks if your baby cries or your toddler starts running around. Sprout & I got to see some great short performances by students & graduates of The Source Dance Company, held in the Burnaby Artspace. The venue itself was actually designed for small children to use for arts classes, so it's a very kid-friendly place. The performance was held in the dance studio, where the audience sat on benches along two walls. Leaving the room to change a diaper or chase a toddler was not frowned upon & the show was broken up by an intermission, during which there was a crazy socks contest, treats & lemonade were served. It was great to expose Sprout to dance performance like this--I can't see it working out very well taking him somewhere like the ballet. Because there was floor space for his antics (copying the dancers as they were performing) he was able to work off his extra energy. Like all the other kids there--from very young babies to preschoolers--he was quiet & engaged during the performances. A ceramics session at the Port Moody Arts Centre on Wednesday, March 6th at 10am and 1pm where you can take tour of the current exhibit at the Centre then create ceramic tiles with impressions of your child's hands or feet. Tickets are $21 per adult including materials. At the Museum of Anthropology Wednesday, March 20 at 10am, you'll have a museum tour & quick look at the new ceramics exhibit, Pleased to Meet You: Introductions by Gwyn Hanssen Pigott. Tickets cost $30 per adult, with tots free. Robert Beck/Robert Buck at the Rennie Collection on Wednesday, April 17 at 10am. Tickets for this event will cost $10, but because the Rennie is usually free to visit, the proceeds from this event will be donated to charity. Vancouver Art Gallery on Wednesday, May 8 at 10am, we will be touring Grand Hotel: Redesigning Modern Life, which is devoted to the history of modern hotel architecture & design. Tickets cost $30, $15 for VAG members & tots are free. Please note that tickets for each event need to be purchased in advance. To RSVP or find out more, please drop us an email at culturebabes@gmail.com. Disclaimer: I was given a free ticket to this Culture Babes event, but was not otherwise compensated to write this review & the opinions above are my own, as always.